and the 1911 as I’ve put about 700 rounds through it. 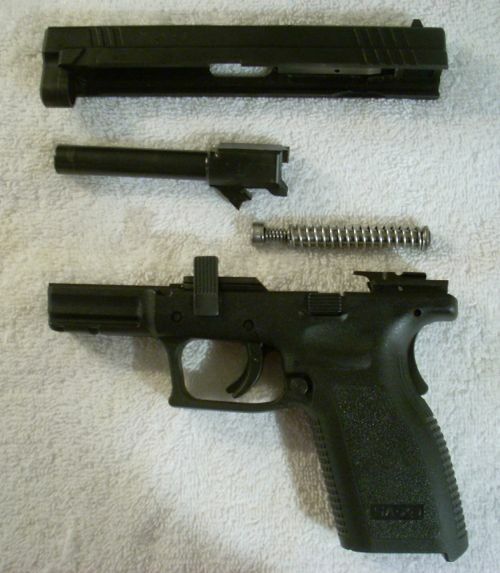 The .22 and the XD9 were simple to disassemble, clean, lubricate and reassemble. 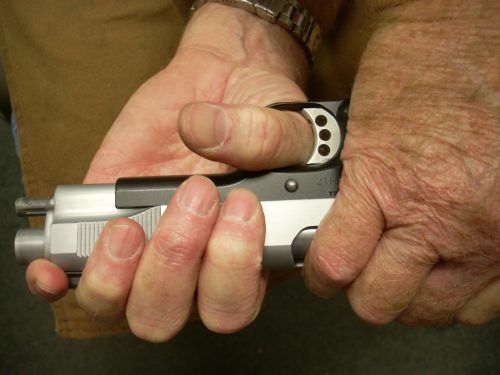 The 1911, not so much. 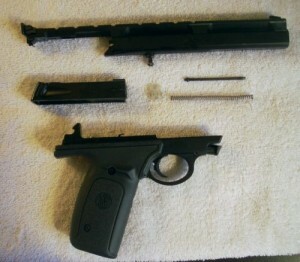 The 1911 took me about 2 dozen tries to get the slide lock back in the gun after I cleaned it. I never got frustrated. I just read a bit in the 1911 maintenance manual I bought from my favorite gunsmith, and I knew I’d done it before so it had to be possible. Also I knew that if I paid the gun smith a visit, he’d help me. Field stripped Springfield XD9. Easiest gun I own to field strip and reassemble. I don’t like cleaning my guns, but there is a real since of satisfaction when I take the time and I’m actually able to take them apart and put them back together. At first I was only focused on getting them apart and back together. Then I focused more on cleaning. I think I’m doing a pretty good job of both now. Where I still feel short on knowledge is in the area of lubrication. But I took my best guess and I’ll be doing some research on that for the future. I’m still missing a grip screw on the 1911. I ordered a set that I thought would fit my grips but it was clear when I looked at the gun then at the new screws that this was a “wrong” purchase. I checked the Brownell’s site again and I’m just not seeing the screws I need. So I’ll be visiting the gun smith this week any way. I’m really thankful I took the time to get to know him and I trust he can help me figure this out. 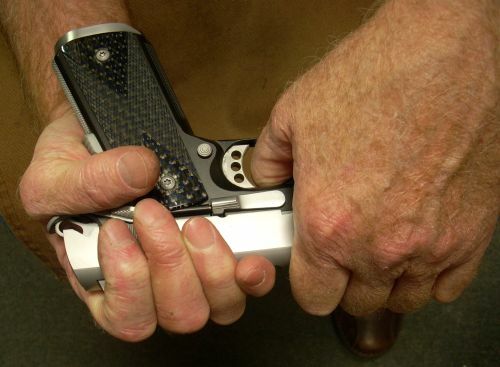 Then there is the conversation about way to keep the screws in the grip…. LockTite? Finger nail polish?